High quality aluminium safety step. Safety guard rails on all three sides with gated closure. Solid work platform with toe board. Folds for ease of handling and transportation. Made to French Standard PIR NFP 93-352. Max. permissable load - 150kg. Working at height can be a hassle; our fixed height work platform will make your job a lot easier than conventional ladders do. 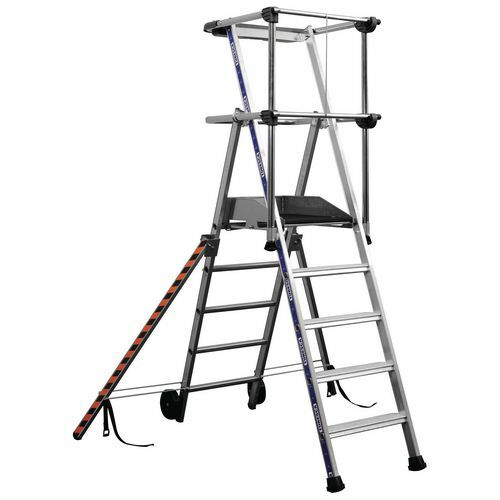 This fixed height work platform features high quality aluminium safety steps with safety rails around all three sides with a gated closure, enabling the user to work comfortably whilst being secure. 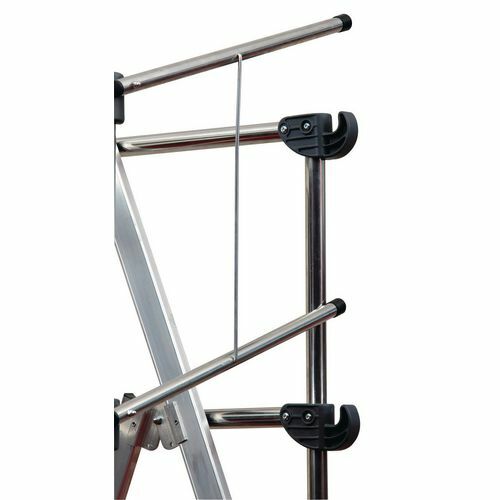 The solid work platform with toe board gives a level surface to stand on while completing tasks high up and the maximum permissible load on this product is 150kg. For easy transportation and handling, the equipment folds as well as having fitted wheels for effortless mobility when re-adjusting its position. 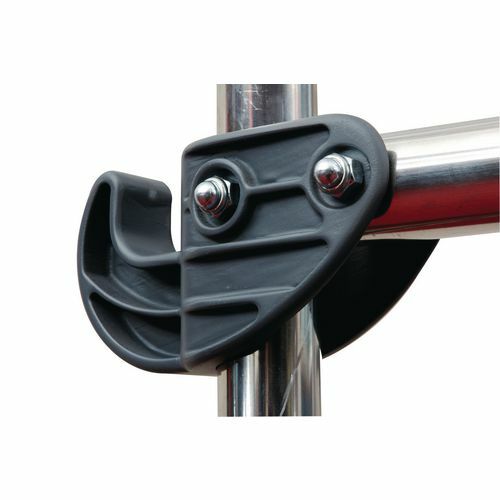 They have high visibility folding stabilisers and are available in a choice of five heights; 720, 950, 1200, 1420 and 1650mm. Our fixed height work platforms are great products that are made to French standard PIR NFP 93-352 - they come with a 60 month guarantee and FREE UK Delivery.